The Link's Tunic Nintendo Switch™ Starter Kit has everything you need for endless hours of Switch gaming. 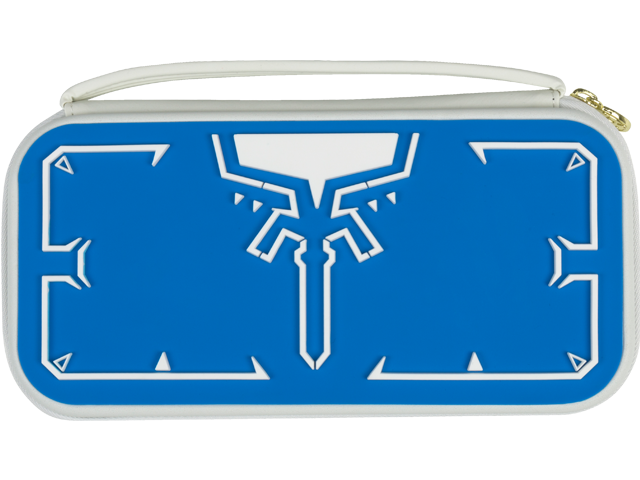 Featuring a sturdy case with 3D molded details to store and protect your Switch console and 14 games, including a complete screen protection kit, you can keep your console looking great at all times. The Nintendo Switch Starter Kit includes a screen protector, earbuds, and character-branded Joy-Con™ Armor Guards and thumb caps, cleaning cloth, and applicator. Nintendo Switch console, games, and Joy-Con controllers not included.